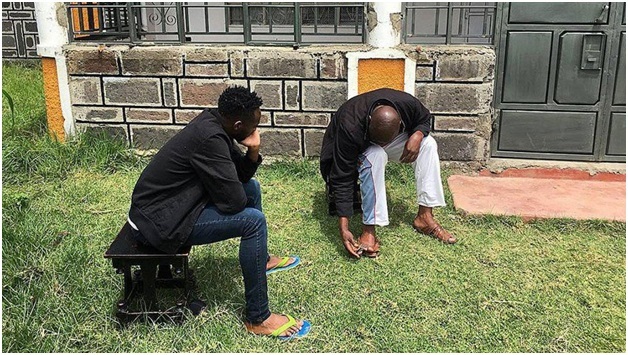 Friday, September 14, 2018 - Popular Churchill Show comedian, David Kagongo better known by his stage name David the Student, has returned home after struggling to settle in US. The comedian relocated to the US –the so called land of milk and honey, a few months ago, in search of greener pastures but got a rude shock. To make ends meet, he resorted to swindling people. He was recently exposed by Kenyans in US who complained of being conned by him. 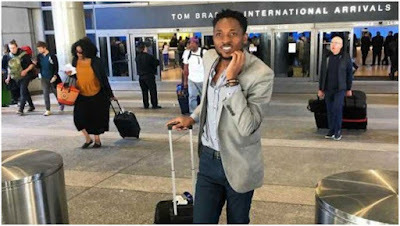 The disgraced comedian admitted that he had borrowed money from Kenyans living in the US but was unable to refund and promised to make amends. “I apologize to everyone I borrowed and those who lent me money and I’ve not refunded. I take full responsibility and I am ashamed. He has since jetted back into the country and is keeping a low profile as he tries to bounce back.